The highly anticipated new memoir by bestselling author Glennon Doyle Melton tells the story plot of her journey of self-discovery following your implosion of her marriage. Just when Glennon Doyle Melton was beginning to feel she had all of it figured out–three happy children, a doting spouse, as well as a writing career so successful that her first book catapulted up of the New York Times bestseller list–her husband revealed his infidelity and she or he was made to realize that nothing was because it seemed. A recovering alcoholic and bulimic, very low was a familiar location to Glennon. In the midst of crisis, she knew to keep on to what she discovered in recovery: that her deepest pain has always held inside it an invitation to some richer life. Love Warrior is the tale of one marriage, yet it’s also the tale of the healing that is certainly possible for anyone when we don’t settle for sufficient and begin to deal with pain and love head-on. This astonishing memoir reveals how internalizing our culture’s standards of masculinity and femininity will make it impossible for males and women to ever fully realize one another–and it captures the wonder that unfolds when one couple commits to unlearning everything they’ve been taught to be able to finally, after thirteen numerous years of marriage, just fall in love. 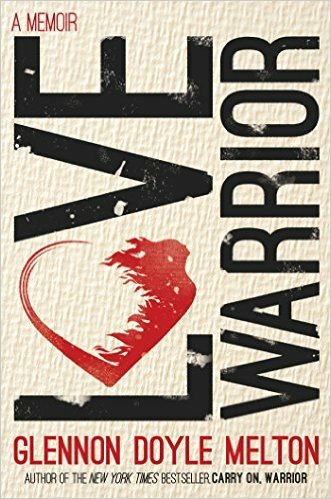 Love Warrior can be a gorgeous and inspiring tale of how we’re also born for being warriors: strong, powerful, and brave; in a position to confront the discomfort and claim the love that exists for many people all. This chronicle of an beautiful, brutal journey speaks to anyone who yearns for deeper, truer relationships and also a more abundant, authentic life. This entry was posted in Parenting & Relationships and tagged Love Warrior: A Memoir.